"Coming to Hawkins in the Summer of 1985...the Starcourt Mall! Starcourt Mall will be one of the finest shopping facilities in America and beyond with options for the entire family. Including The Gap, Waldenbooks, Sam Goody, Claire's and more! Don't forget to cool off at Scoops Ahoy Ice Cream shop. Starcourt Mall has it all!" And welcome the first (viral) promo from the third season of STRANGER THINGS on Netflix! 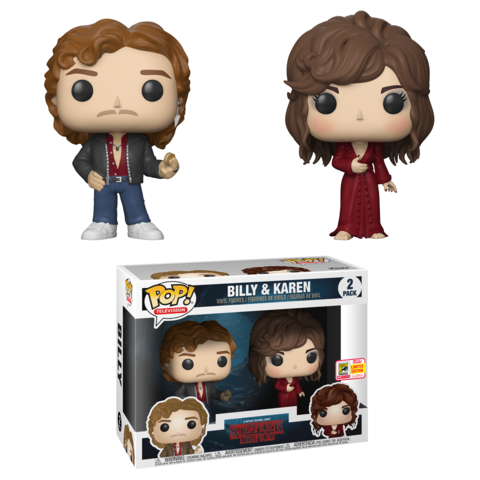 Quite an enduring brand, since been made into numerous collectibles and toys too - including Funko (same San Diego Comic Con 2018 exclusives featured below, along with McFarlane Toys' realistic-sculpted offerings! 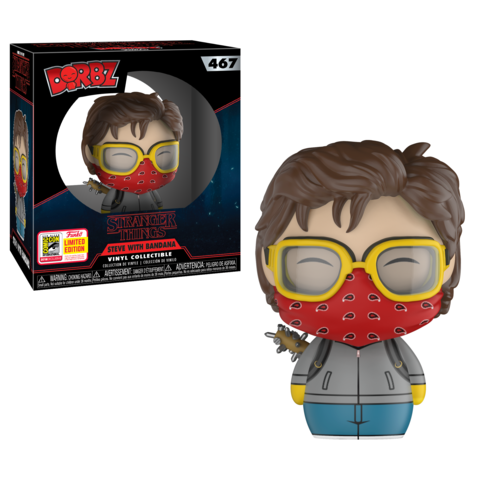 FUNKO PRESS: "Our San Diego Comic-Con exclusives for Stranger Things celebrates fan favorites from season 2! 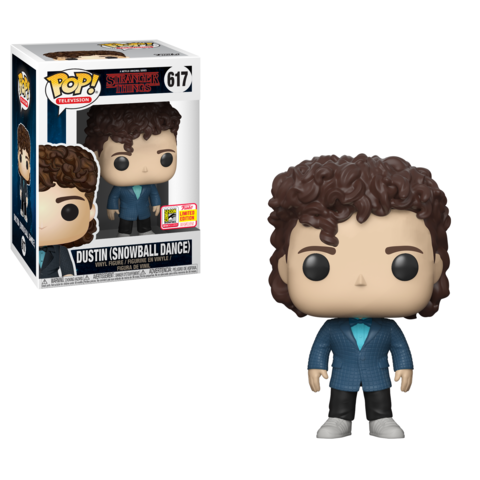 Snowball Dance Dustin is ready to bust a move, the Billy & Karen 2-pack is sure to be a crowd pleaser, and Steve with Bandana will keep the rest of your Stranger Things Dorbz safe!"